It's not uncommon nowadays to hear about a domestic sports competition starting up its own eSports league. Plenty of famous clubs and teams worldwide have also jumped on the bandwagon of acquiring well-known cyber teams in the hope they can broaden their reach and earn some extra revenue on the side. In Japan, it's no different. Nippon Professional Baseball - Japan's pro baseball league - has now partnered with Nintendo to create a new Splatoon 2 eSports league. Each of the 12 clubs will be represented in the digital league, with the start date scheduled for Spring 2019. This isn't NPB's first venture into eSports. In 2017, it partnered with Konami to host championships for its official baseball title, Jikkyō Powerful Pro Yakyū (known as Power Pros in the west), and last week announced the launch of an official league. The Splatoon 2 league formation is somewhat different to a number of clubs and tournaments around the world that choose to focus on video games based on their respective sport. For Nintendo, a partnership with a sport team or club isn't exactly new - with the company known throughout its history for having ties with baseball teams and sponsoring both domestic and international football clubs. This latest deal should be fantastic exposure for Nintendo, given the fact baseball is the national pastime in Japan. I'm wondering if these teams will use the cell phone voice chat or if they use a third party app like Discord. Can we just get a decent arcade or sim baseball game on Switch? Both? Maybe this will help. Or anyone? But in my country. Maybe this will lead to cross-promotion, baseball-themed items in Splatoon 2. I’d be all over a baseball mode in the next Splatoon. I’d buy it even if it was a stand alone. That's great! I'd love to see how they handle the presentation for something a little more professional than the invitational tourneys. I too would love too see a baseball game such as Famista or Super Mega baseball on Nintendo Switch. Hell I would even buy a revised version of Dusty Diamonds All Star Softball if the play style was the same as the original with updated graphics. When I read baseball I was thinking "yay, a baseball mode for Splatoon 2!" ...instead it turned out to be some pointless esports deal that I will undoubtedly have absolutely nothing to do with. Great promotional move by the NPB. 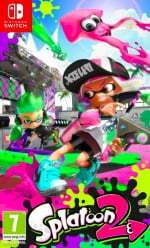 Trying baseball up with Japan's national sport of Splatoon is sure to generate a lot of exposure and interest. Who knows, in the next few years maybe we could see baseball become a big thing in the region. @Maxz I am assuming you're being sarcastic. Baseball is already ludicrously popular in Japan. lol At least as popular as it is in the US, if not more in some areas. The thing is, Japan is a lot more open to "nerdy" stuff than the US and many other western nations. Many of my students here both play video games, and sports. Unlike in the US where jocks and nerds rarely get along. @Heavyarms55 Yes, 100% sarcastic! Maybe 200%. I know baseball is to Japan as football (aka soccer) is to the UK: giga-huge. And has been for decades. 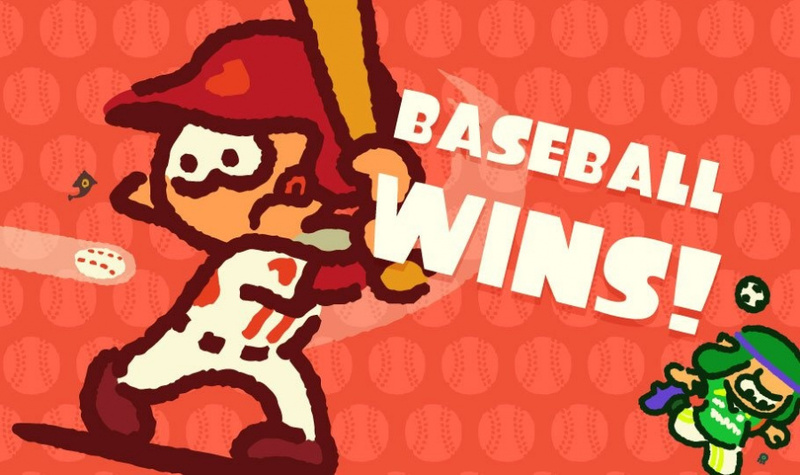 I just liked the idea that Splatoon was so huge that baseball was trying to gain exposure from it. I mean, Splatoon is huge - by video games standards - but not enough to replace an actual major sport in terms of igniting a country's collective fervour.